Shell it out! A fun game for the family! Growing up, I remember our family would always be spending time together playing games of various kinds. It was the best way to bond as well as a great way to while away long, sleep-inducing weekend afternoons! 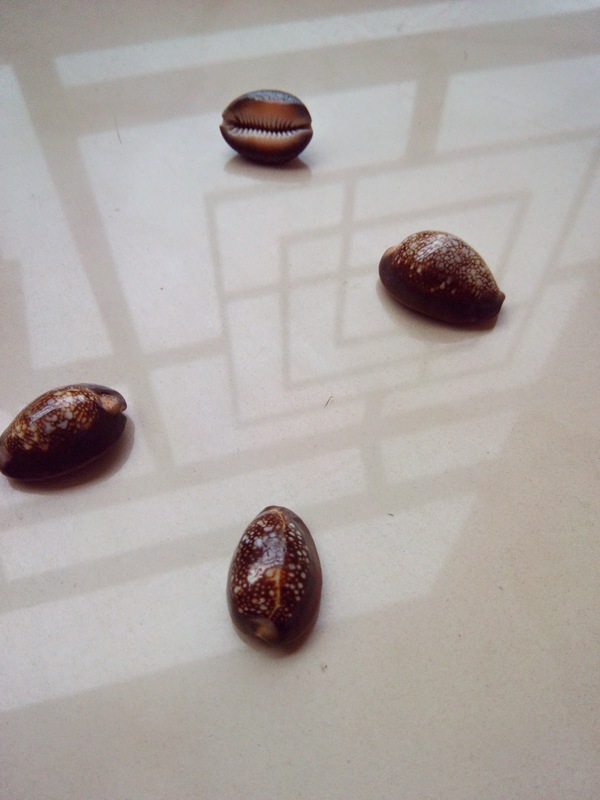 If you are from my generation or before, you would be familiar with games such as Pallankuzhi (Mancala) , Daayakattai or Tic-Tac-Toe. This blogger has done a lovely black and white post on the topic. On our way back from Mysore last week, we stopped at a highway restaurant at Maddur to have lunch. Post that, as we strolled about, we came across this quaint shop that was selling lovely wares right from herbal oils and essences to handmade wooden games and toys. It was a veritable wonderland for us as well as Gy. That’s when I spotted them! 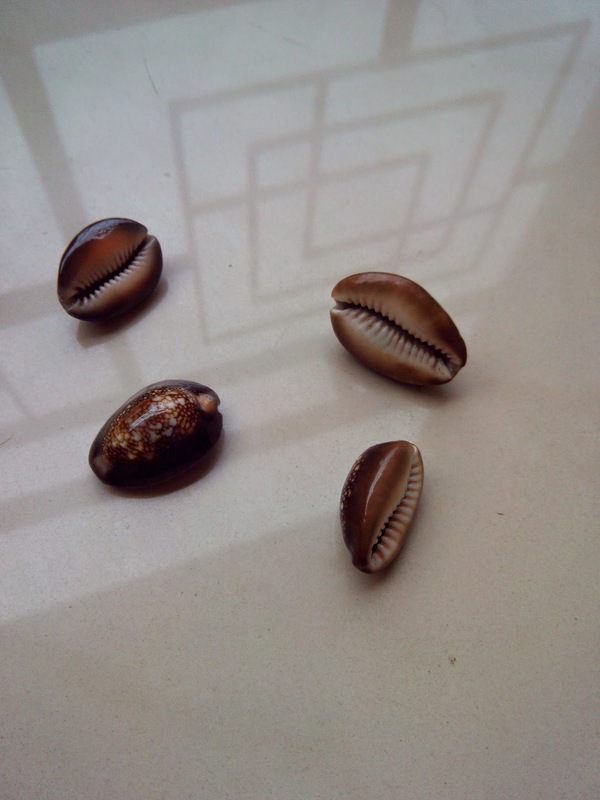 Those lovely shells or Chozhi as we call them in Tamil were calling out my name! I immediately convinced my husband that we should pick up this as they reminded me of a childhood game I would play with my parents and sister. We plunged our hands into the shell basket and fished out twelve shiny, smooth-backed beauties to carry home with us. Drop the shells gently on the ground to make them all fall facing one way (smooth side up as seen in picture 1 above). . .
. . . or open side up as shown in Picture 4. 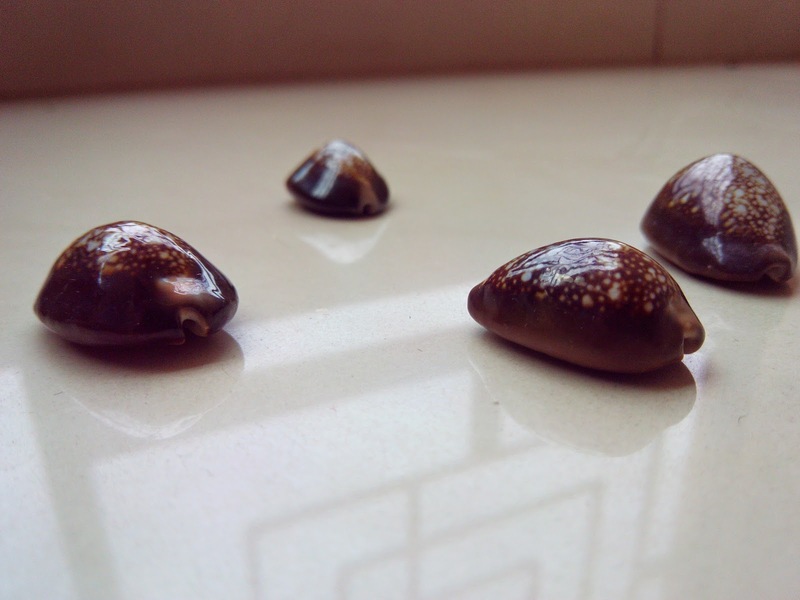 Shells that fall as shown in picture 5 can be scored by hitting the open shell with a closed one. If the shells fall as shown in picture 6, the player has to pass the shells on to the next player. 1. All shells fall with shiny backs on top- 4 points. 2. 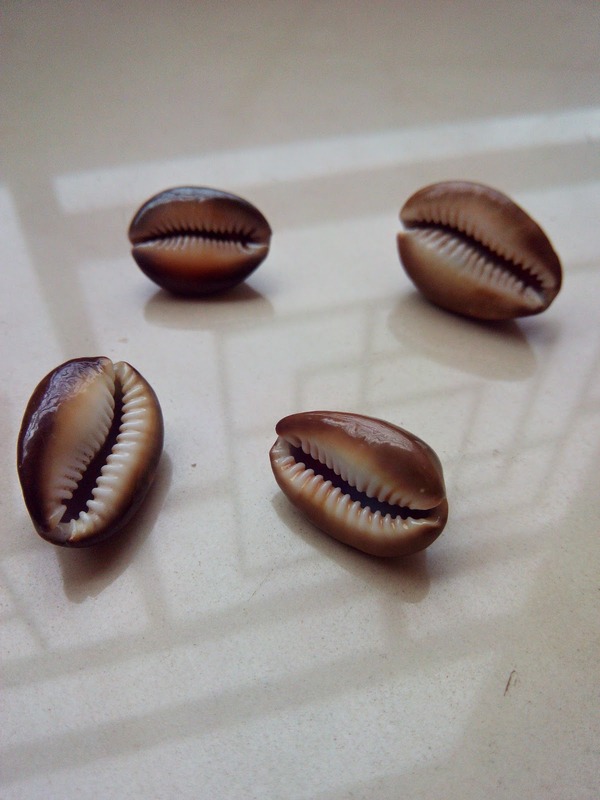 All shells fall with open ends up (Pic 4)- 8 points. * This is a fun thing, because the 8 points are literally up for grabs. All players can try and grab the shells if they fall in this position. Each shell gives you two points. 3. An open shell can be hit with a closed one (Pic 5) to score 1 point. 4. A closed shell can be hit with another closed one (Pic 5) to score 1 point. 5. If three shells are open (Pic 6) the player gets no points. Game passes to the next player. 6. The first person to reach 20 points is the winner! Here is a short video I tried to shoot showing a couple of key points from the game. I was so excited about the game, the video and my first-ever YouTube editing that I did a hurried job. I promise to make a better one next time ! What fun Shailaja :). Buy me a set the next time you go that way ;). Oh I remember this game! I think my grandfather taught us how to play…haven't even thought about this for years!!! How fun! Sounds like a lovely game. What memories you brought up Shailaja. 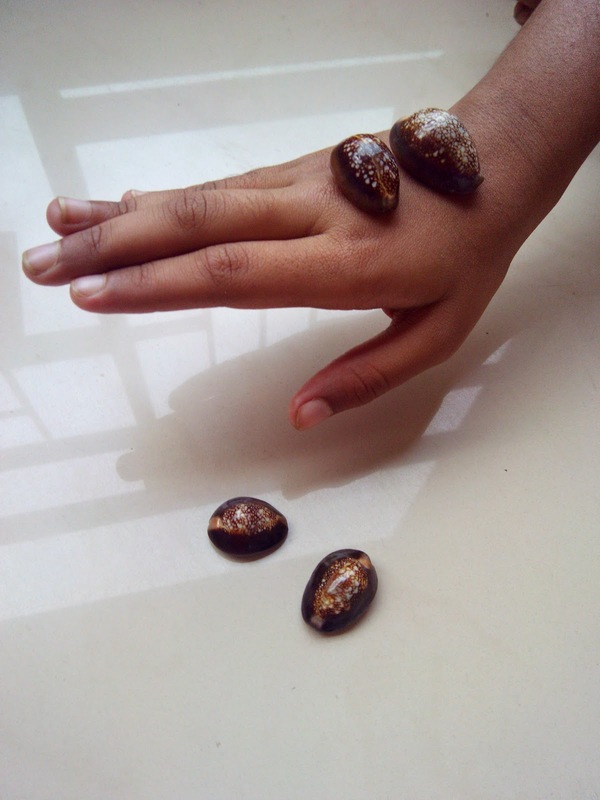 As kids we've watched kids in the village play this game – only they'd play with small stones. I'm not sure how they did the scoring except for deducting points if they couldn't catch them. They used to call it 'kauri' or 'gutte' – not sure which one. Seemed a lot of fun then. Must try it out with the kids. I've been to that shop in Maddur. Very cute! I am sure I have some chozhis somewhere in the house! 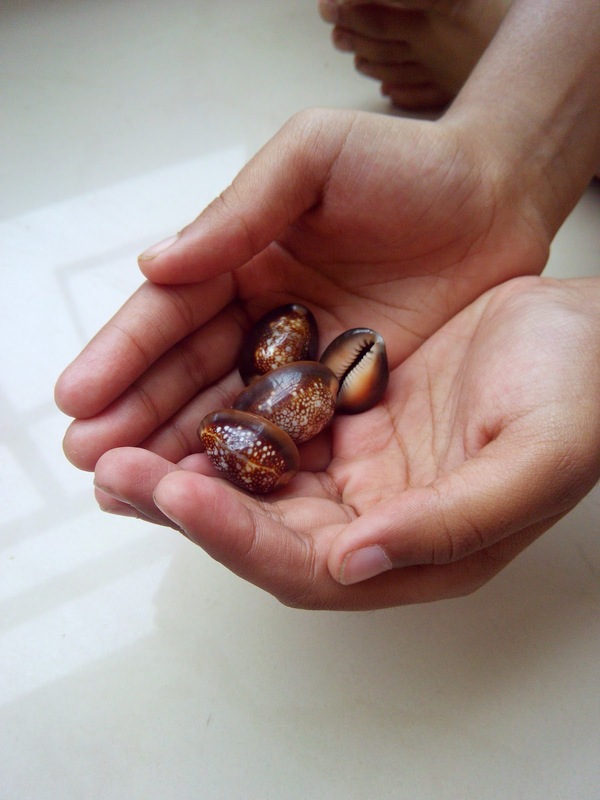 I remember playing these during my summer vacations in Kerala.. but the name was something else. Thanks for this post.. brought back so many memories. Hmm, what will you do for me in return? 😀 Just kidding. Will get you more if I see them again. It really brought back such memories for me, Sanch! I love games like these to help children play. Always a pleasure. I know the game you mean. Kind of like 'Seven stones' or something? Yes, that Maddur shop is adorable!